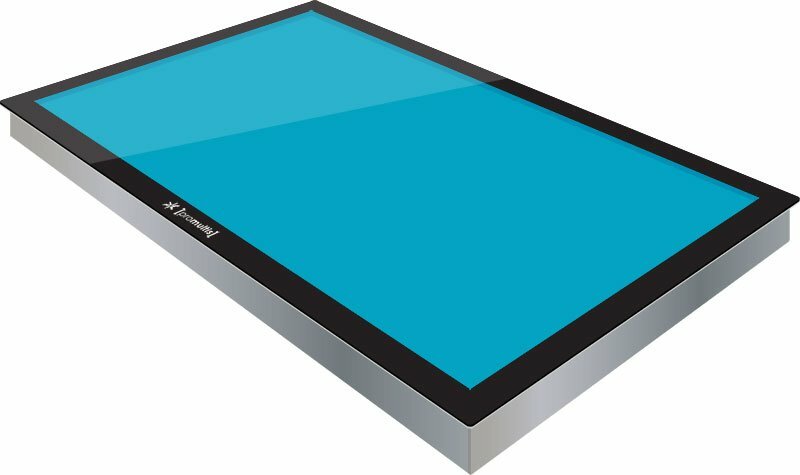 Incorporating a full 1080p HD LED commercial screen (42″, 47″, 55″) and multitouch technology (6 touch, 12 touch or 32 touch) and heavy duty aluminium casing, the ProMultis Insert is an all in one solution. 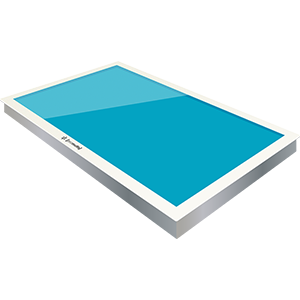 Providing a discreet PC housing and cable management, it could be simpler to create your own multitouch product using the ProMultis Insert. 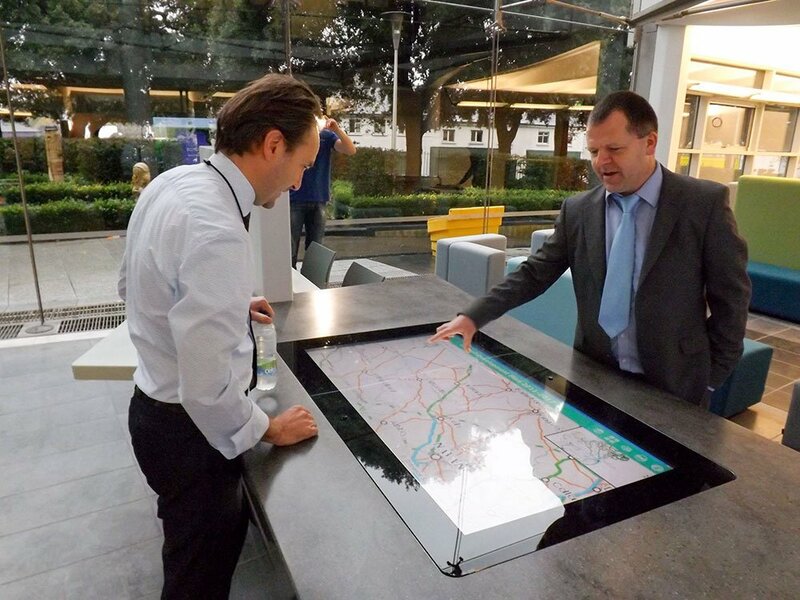 The ProMultis Insert provides a pre-packaged multitouch solution that can be incorporated into your own designed facility, be it a table, cabinet or vertical installation. As part of the Promultis custom solution two drop-in units were inserted into the training room tables at the Beardmore Centre. This allowed users to interact with the video wall via the table screens utilising the in-focus box facility to monitor all screens and PCs. Through the use of multi touch software or the native Window 8 applications content can be ‘thrown’ onto the video wall from the desk screens making a unique interactive collaborative environment.